With this amazing weather, it’s been hard to focus on inside work. The backyard has been screaming for attention, and attention it got this weekend. As is the case with everything at our house, nothing is ever easy or simple. So, true to form, what started as planing a few tomato plants ended up being a full day of digging. 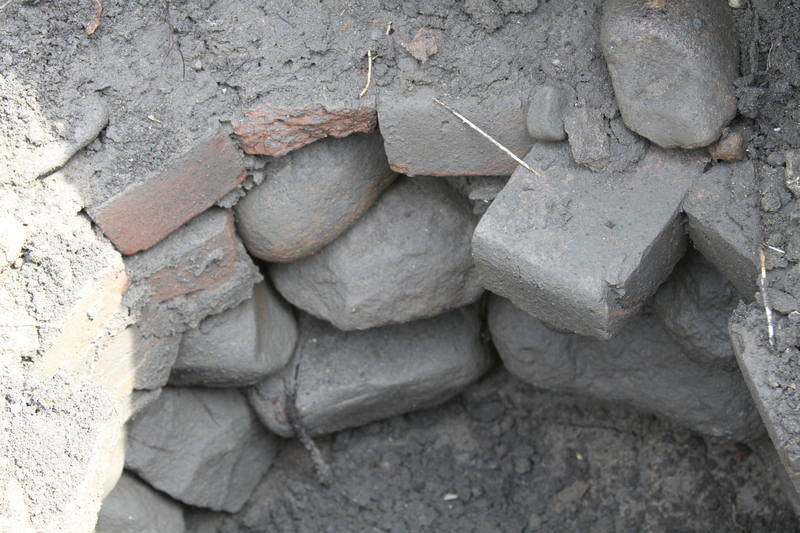 Turns out there are all sorts of things mixed into our soil – and I’m not just talking about a ton of rocks. 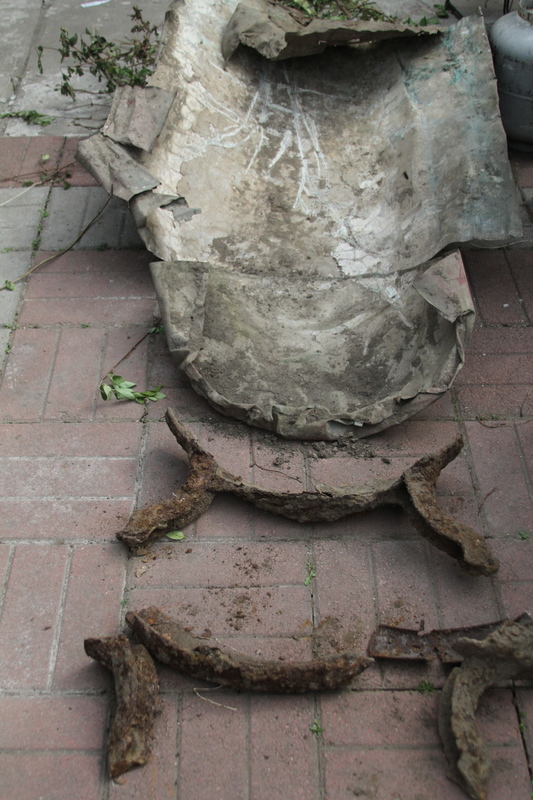 We dug up this thing – not sure what it is, but looks like a bath tub of some kind. 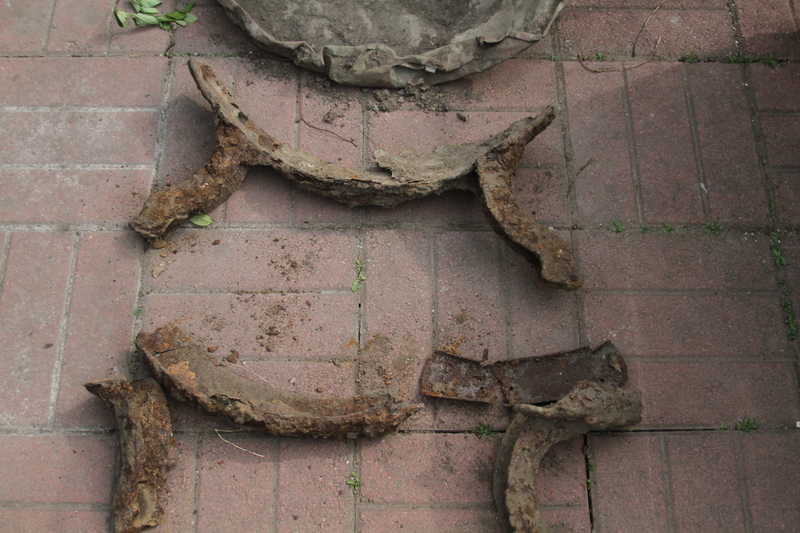 It has the cast iron feet and a drain hole. A blue stone slab with a couple of holes in it. 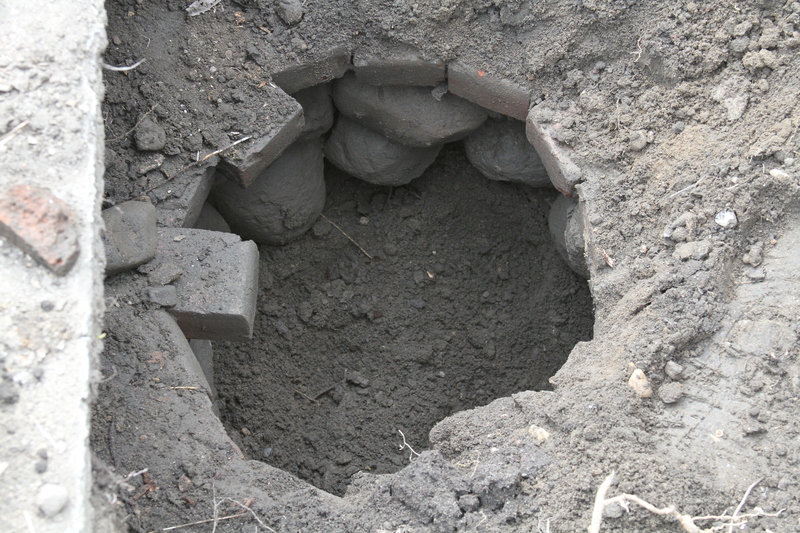 Best we can tell it is an old cistern (once again covered back up with the blue stone and soil) which continues to exist under what is now our vegetable garden. My name is Libby and I’m working on behalf of the visual editor for HouseLogic. HouseLogic’s an editorial site published by the National Association of Realtors geared towards homeowners. 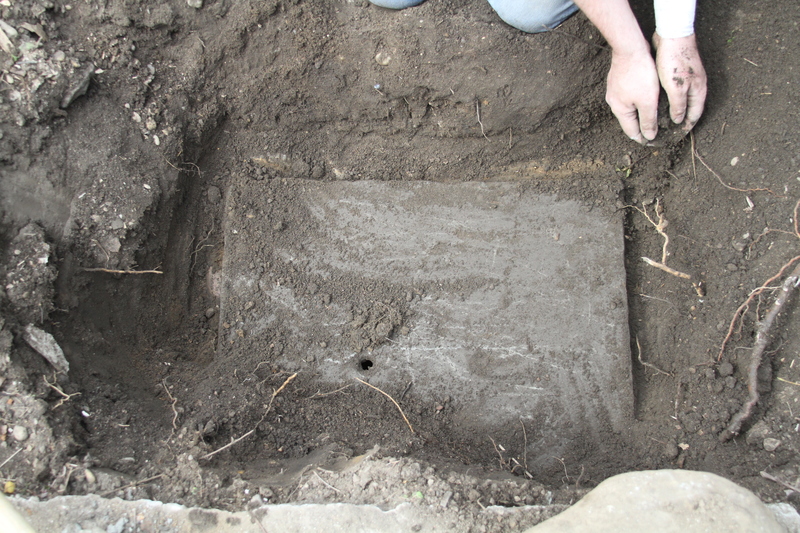 We love this old cistern you found https://pinkbrownstone.files.wordpress.com/2012/04/img_0191.jpg?w=490&h=326 and would love to feature that image in an upcoming HouseLogic slideshow about unusual finds during a remodel. Is that something you’d allow? You/your blog would be given full credit for the image, and we’d include a link to your site if you’d like. If you’re interested, drop me a line at libby@houselogic.com and I’ll send over the details.